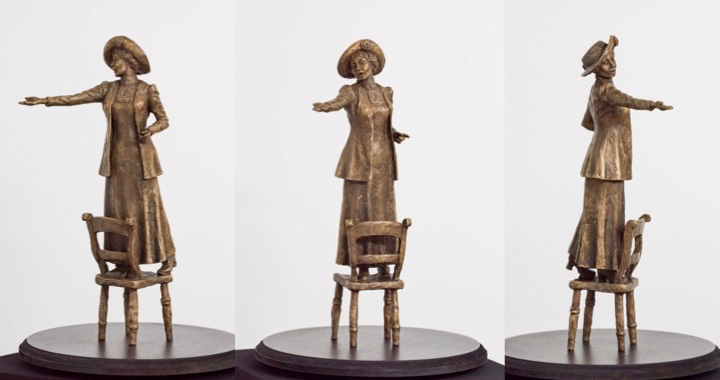 “Rise up, women” captures the courage, determination and dignity of this extraordinary activist, as Emmeline calls on women in the crowd to rise up and demand their right to vote. It’s 3pm on the 27 February 2017, and “Rise up, women” has just been unveiled at the Houses of Parliament. Attendees are voting for their favourite of the six maquettes, using a ballot paper. Others of you will have a chance to vote online, shortly. Next stop for my Emmeline is Manchester – perhaps you can come and see her at one of the exciting events.